The fussy eating phase is hands down one of the most frustrating thing a parent can go through. 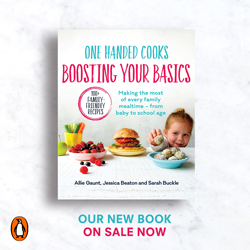 The stress of not knowing if your child is receiving enough nutrients can be hard enough, but the battle at every single mealtime, and soul destroying waste of food can really tip parents over the edge. Children who aren’t well nourished are likely to be tired, inattentive, less curious and less independent. In general they often have more social problems and behavior issues as a result. Food is really important, but sometimes fussy eating is just a phase and with a bit of persistence you will get back on track. 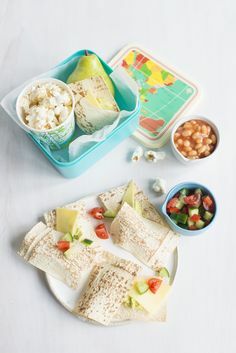 It doesn’t really matter how much a child eats, as everyone has unique needs, but rather that the food they do eat is healthy and nutritious and the experience is enjoyable. It’s important to avoid any hard punishment style, force eating techniques, no matter how frustrated you feel. From experience, they don’t work, and can inevitably leave a child with negative food associations that they may have for life. Instead, think about when the fussy eating started, try and figure out the problem and then devise a plan to fix it. Children are drinking too much liquid, i.e. milk or juice, and aren’t hungry enough to eat. This causes parents to worry about fussy eating or other eating problems and they get upset and stressed about mealtimes, leading to negative mealtime associations. Children are being offered too many snacks and are simply not hungry enough to eat at mealtimes. 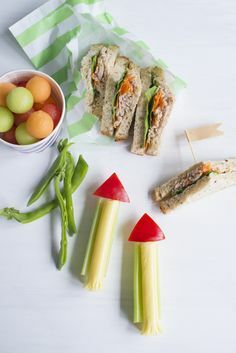 Snacks are great, in fact some children prefer 5 smaller meals per day, or three meals with a few snacks. The trick is, to keep snacks as a scheduled part of the day and to offer the right foods. Children are fed highly pureed food for too long, and get used to the texture and do not like the feeling when offered textured food. Children are fed bland jarred food and are then transitioned to stronger family foods they aren’t used to, causing food refusal. A baby or toddler goes through a period of teething and refuses food due to sore gums. 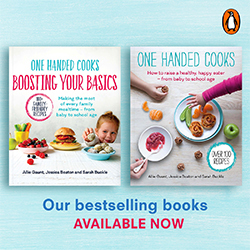 As a result parents try to introduce more tempting foods in order to get them to “eat something”, and in turn the child begins to favour and demand these foods. A child is praised and praised and praised for eating their dinner. This causes the assumption that eating dinner is not expected. Children are offered a sweet “dessert” after a meal. One they are old enough to know dessert is coming they will save themselves for this meal and eventually refuse the non-sweet foods. Children refuse a meal due to teething, sickness, or a demanding period of growth. As a result, parents begin to ply foods with “extras” such as tomato sauce in order to get them to eat. Suddenly, sauce becomes the norm. Children are not offered a new food a sufficient number of times to allow acceptance of the food. A child may need to be offered a food up to 20 different times before they become familiar with it and accept it. So, you have a fussy eater? We have devised “The Mealtime Ritual” which is a list of steps you can follow to get your fusspots on track. This is the method I (Allie) used with all the children I nannied. Whatever method you choose, try and stick with consistent tactics to give your child the best chance of changing their habits and learning to love healthy foods. You know your child best and what might work for some wont work for others. Pick and choose to personalise a plan for your child, then adjust and modify until you find a solution that works. All children have it in them to be good eaters and to associate foods with positive experiences. When Should A Toddler Feed Themselves? Great post! My 9 month old has been a great eater up until the last 2 weeks. She was feeding herself finger foods for the month prior! I am fairly sure it’s teething and she has sore gums. She will eat fruit and purees.. not even my purees just the organic packaged ones! So my question is how do you handle this and still get food into her. I am worried about creating bad habits but also want her to eat. Don’t want her to get used to purees, or fruit as it’s sweet. Do I just give her more milk whilst going through this and stick with my foods?